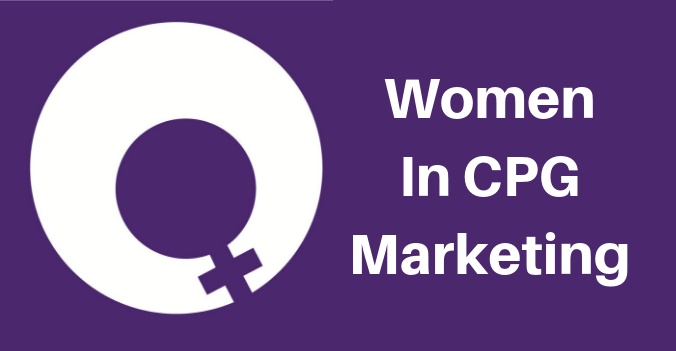 That’s the state of productivity in the CPG and retail marketing world. We conduct a benchmarking survey, when we deploy the Shopperations platform for our clients. 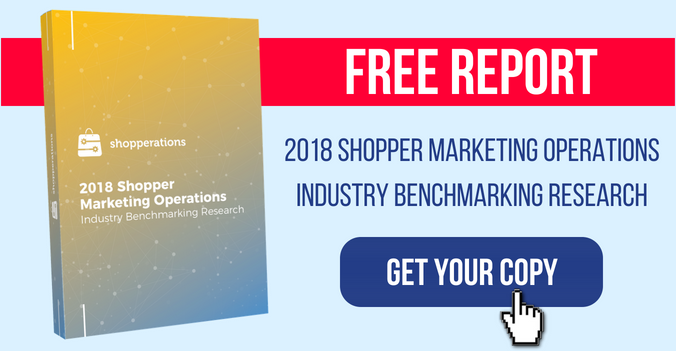 This survey helps us establish the current state of their shopper marketing operations and identify the pain points we need to focus on addressing. One of the most eye-opening trends that we uncovered during this survey was in connection with time spent on administrative tasks - you know, all of those LONG status meetings, the reporting, budget reconciliation, writing emails and so on - versus value-added tasks. Our survey revealed that on average, half of the work day is spent on administration rather than value-added tasks - like shopper or customer research or even program development and executions. That is 50% of their day, LOST! This should be a rude awakening for CPG leaders, and everyone should take it personally. It is personal! It is YOUR time, it is YOUR team. What could be more personal than that? You need to own this problem and change it. Strategically speaking, tackling poor productivity is the lowest hanging fruit to unlock growth. Imagine what would happen if everyone on your team got more hours each week to work on big ideas, do strategic selling and ensure that execution is flawless. Assume a few of your team members generate breakthrough ideas. Think of those ideas' possible worth. The sky’s the limit. So address it head-on. Seems obvious, doesn’t it? 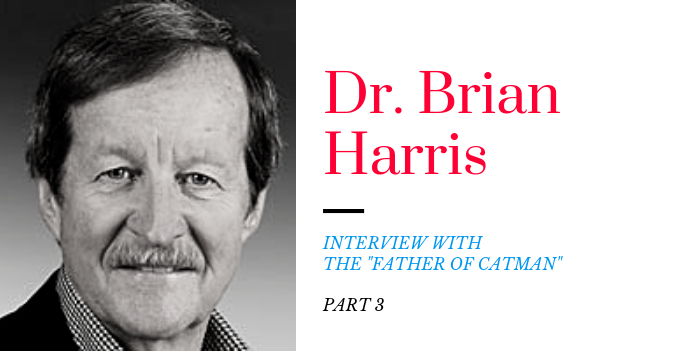 You have probably considered steps to address the pain but ran into some internal roadblocks. Do any of these hurdles sound familiar? Have you been given the vague promise of a “digital enterprise transformation” that the IT folks are waxing lyrical about? Do you naively think it will ease your pain? I have a newsflash for you: If IT has not spoken to you and your team and asked for your requirements, then the pain is here to stay and may get even worse. Why would you believe that IT can develop a system for marketers, if they do not even know what you do? If they do not understand your pain points and the type of challenges you deal with on a daily basis, you will have to spend a lot of time to educate them before a single line of code is written. And you have a day job, remember! Excel is a fantastic tool that has served us well! It is great at crunching numbers, but it’s inadequate as a data-gathering or collaboration tool. While on the surface it’s “free”, Excel ends up costing you a lot of time due to rework, user errors, version proliferation and poor data quality. So many shopper marketers find themselves between a rock and a hard-place: their finance departments question their desire to invest in automation solutions yet they realize that the modern shopper marketing complexities cannot be sustained with the last century tools like Excel. The only way to overcome the organizational resistance to fixing productivity problem is to quantify it in very tangible terms: what’s the average time to onboard a new employee and decyfer their spreadsheets? How much time did you waste in financial audits last year? What was the time you spent on manually gathering inputs into your pos-promotional process? Quantify it! Times are changing, we see progressive CFOs telling their financial departments NOT to use Excel. 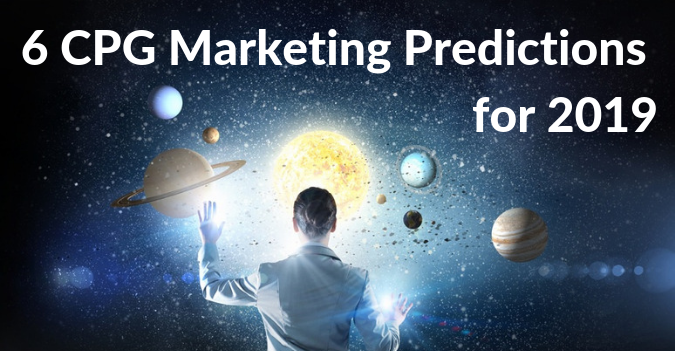 Even though marketing remains the last frontier of automation in CPG enterprise, you can lead the change. If you are thinking that you and your team have outgrown excel, read this blog. You know who Trade Promotion Management (TPM) systems are really fantastic for? You got it...sales teams! NOT shopper marketing teams! There might be someone in the sales team, who is enthusiastically sharing the wonders of the TPM system that they just rolled out. But let me say it again. 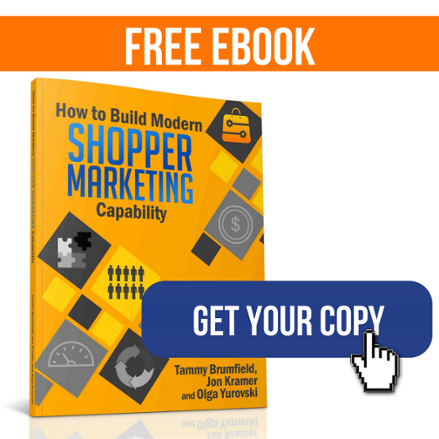 Shopper marketing is not trade marketing. You shouldn’t force your team to use a system that was not built for them, essentially creating “yet another place they have to plug numbers into”. 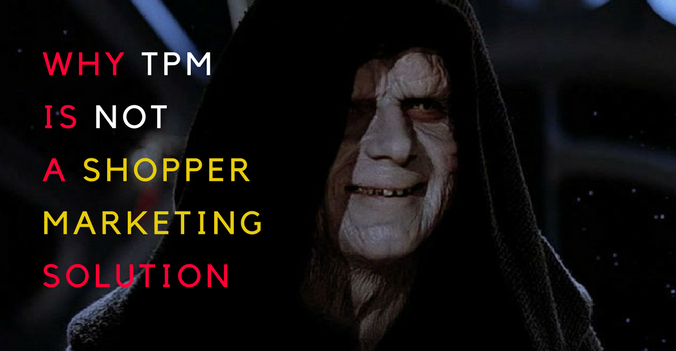 TPM offers little end user benefit for shopper marketers. For instance, it lacks sophistication and granular reporting, and instead of easing shopper marketers’ admin pain, it adds to it. 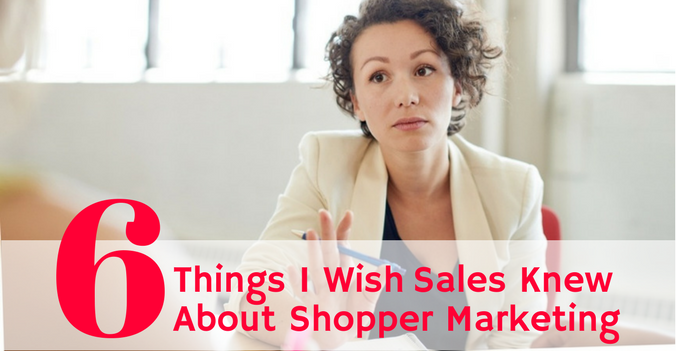 Instead, Shopper marketers need a system that takes their unique needs, processes and realities into consideration. A system that accounts for the complex matrix in which the team operates, the need for access to live data that produce reports in real time. A system that effectively addresses silos and lack of standardization. Don’t Fix What Ain’t Broken! Every team has one of them - you may be even be one of them... a person that is totally opposed to and resists change for all they are worth! Their hate for their spreadsheet is only exceeded by their terror of anything remotely signifying change. The thought of having to master something new is paralyzing their growth. But the truth of the matter is that change is your reality, especially in retail marketing which embodies cutting-edge technology. If your team is one of those experiencing the crippling 50%+ productivity loss, your process IS broken! So, fix it. Whether you like it or not, change is happening, and not addressing this change today is a recipe for extinction! Garter CMO’s survey says that 33% of today’s marketing budgets are spent on digital technology; 25% of that spend is invested in infrastructure and tools - this is an unprecedented growth. The CPG industry needs to catch up with the trend, embrace digital investments; not just into the steadily growing digital media, but more importantly into technological tools to empower their shopper marketing teams. 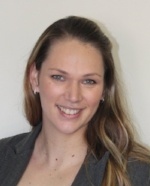 Can you truly afford to continue delivering only half what you could or should produce? Do you even want to continue in such a manner? 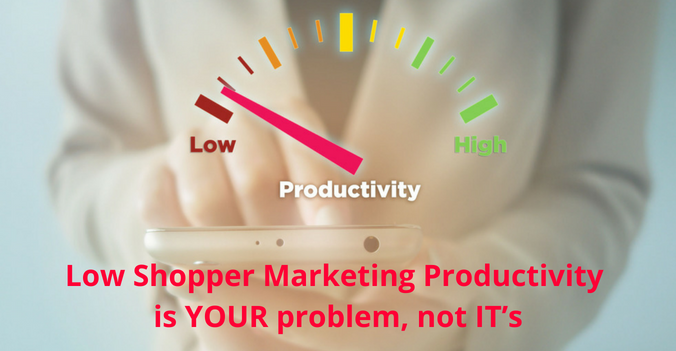 Is There Hope For Unproductive Shopper Marketers? You could partner with IT to build your own home-grown system, but it’s costly, time consuming and very risky. Keep in mind, a marketer who can translate their world into technical requirements and oversee their delivery is a very rare bird! If you are lucky to have one on your team, keep them happy and give them this challenge - not as a side project, as this truly is a full time assignment and deserves their undivided attention. You could buy an off-the-shelf solution like Shopperations, which may be a great fit for your team. 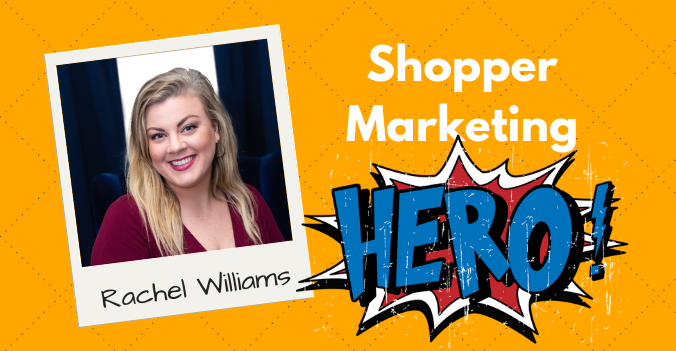 Shopperations was built by shopper marketers, so it fits like a glove. It’s a proven planning and budget management solution that many CPG clients enjoy and recommend. 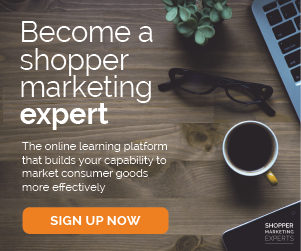 Most importantly, function-specific solutions like Shopperations can unlock and make accessible for your team the best practices and collective wisdom of the shopper marketing industry.